Every time the heart beats, blood is pumped throughout the body. When this happens, pressure is created (the force that is applied by the blood against wall artery). This force is known as arterial blood pressure. The thing that makes high blood pressure so dangerous is the fact that you may not know that you have it. In a matter of facts, research shows that almost 1/3 people who have high blood pressure do not know that they have it. A person can only know they have this condition only when they go for a checkup. This is very important especially if you have a relative living or died due to high blood pressure. NOTE: minuet high blood pressure causes no symptoms. However, with stronger high blood pressure, a person may experience few symptoms. Hypertension is another name for high blood pressure. Hypertension occurs when blood that is being pumped through the arteries is higher than it is supposed to be. High blood pressure can severely affect a person’s life apart from increasing the risks of heart diseases. Heart diseases and high blood pressure is not an American condition only, but a global condition. According to The World Health Organization (WHO); the increase of processed food has affected the amount of salt people consume. This plays a big role in high blood pressure. In America, high blood pressure has increased over the last decade and now kids are also reported to suffer from this condition. In America (U.S.), around 85 million people have high blood pressure, that is 1 in every 3 adults have high blood pressure. 2 in every 3 adults in America have prehypertension (this is blood pressure that is slightly higher than normal but not yet in the high blood pressure category). It has also been reported that only 54% of people suffering from hypertension have their condition under control. The good news is that at times high blood pressure can be managed through dietary and lifestyle choices. This means reducing alcohol consumption, engaging in physical activities, avoiding consuming high-sodium products as well as reducing tobacco use. Primary Hypertension – This is a type of high blood pressure that has not been caused by any other factor, but instead it develops slowly over a period of time. A majority of this problem is mainly attributed to hereditary factors. Secondary Hypertension – This is a type of high blood pressure that is a direct result of another different condition. This kind of high blood pressure can be caused by heart problems, emotional issues, and much more. Since these symptoms are minor and cannot be separated from other causes, they are easily ignored. As a result, people often do not seek medical care not until the condition has caused organ damage. This is why it is important for everyone to go for check-ups once in a while. Aneurysms – This is an abnormal bulge in the artery walls. This condition grows and develops over a longer period without any signs until they rupture. Chronic Kidney Disease – high blood pressure can cause kidney failure. Cognitive Changes – research shows that high blood pressure over time may lead to cognitive changes. Eye Damages – high blood pressure is not only known to affect eyes, but it can cause permanent blindness. Moreover, eyes may begin to bleed, or eye vessels to burst. 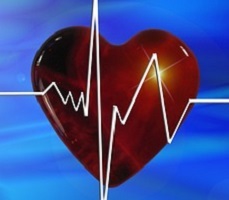 Heart Attack and Failure – Heart attack is a common sign of high blood pressure. Common signs of a heart attack are chest pain and shortness of breath. Stroke – This occurs when blood rich in oxygen is blocked or fails to reach a portion of the brain. Stroke symptoms include; sudden weakness, facial numbness, trouble speaking and others. The Blood Pressure Help Review – A Real Solution For You?